If you want to buy a dry ice blasting device you have come to the right place. We are a German producer of dry ice blasting systems with advanced technology and high aspiration for perfection. We are pleased to advise you personally, therefore we ask you to contact us and satisfy yourself of the dry ice blasting systems of White Lion. In our broad range of products, you will find the dry ice blasting system, that matches your needs. Produce your own dry ice with the Pelletizer White Lion Arctic. Every time, when dry ice is needed quickly and in bulk, an own dry ice production makes sense. With your own dry ice machine you can ensure your supply with dry ice of high quality – at the desired place and in the desired quantity. 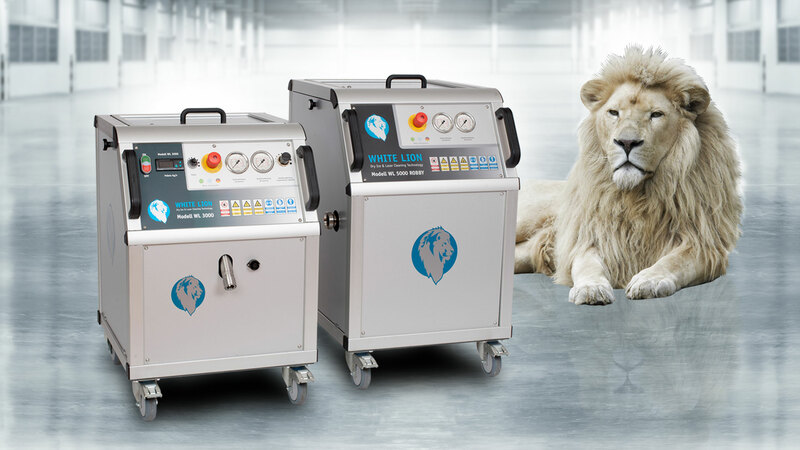 In close collaboration with KAESER White Lion offers you the ideal supply with compressed air, which is needed in the mobile as well as the stationary application of the dry ice cleaning technology. 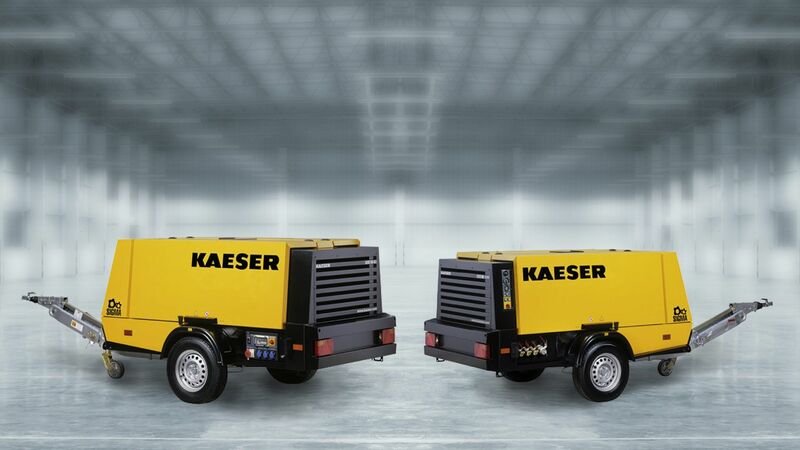 Kaeser offers devices for compressed air supply for production and work processes. The system solutions target ideal overall economy and comprise production, conditioning and distribution of compressed air. Development and production of reliable dry ice blasting machines is one thing. To maintain and wait them is a completely different thing. Good maintenance of a dry ice blasting system often makes the crucial difference at the application. Everyone is acquainted with it: A breakdown is always unpleasant and normally arrives unexpected. Our technicians ensure a maximum in security and reliability. At your desire we offer you a maintenance contract. We gladly take over the regular maintenance of your dry ice blasting system. Thus your machine is always ready for action and up to date. 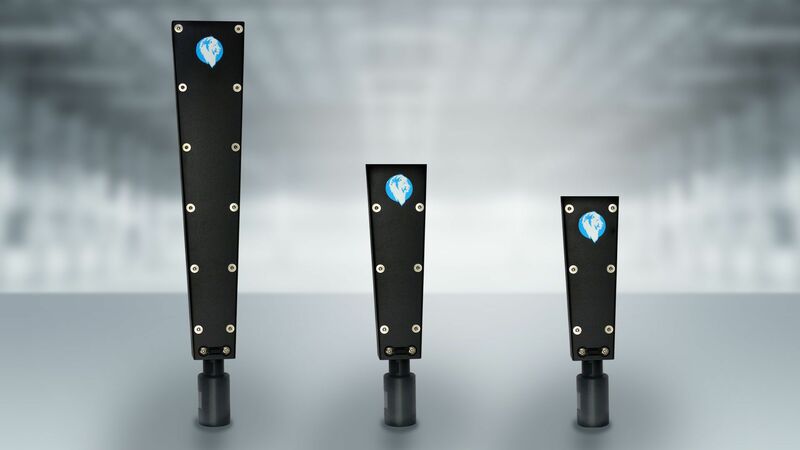 Dry ice blasting equipment is the answer to persistent types of grime and the kind of coating that can only be efficiently cleaned by abrasive cleaning agents. Dried paint, firmed up dust, rust or hardened grease from machines – items sullied by these types of grime used to only be able to be cleaned with great effort. Often the cleaned items would additionally be irreparably damaged after the treatment. Dry ice blasting equipment is gentle to your product and tough on dirt. The blasting material of our dry ice blasting equipment is frozen CO². Depending on the dry ice blasting equipment, the pellets are shot onto the surface at a temperature of – 80° C with a pressure of 1 to 16 bar. 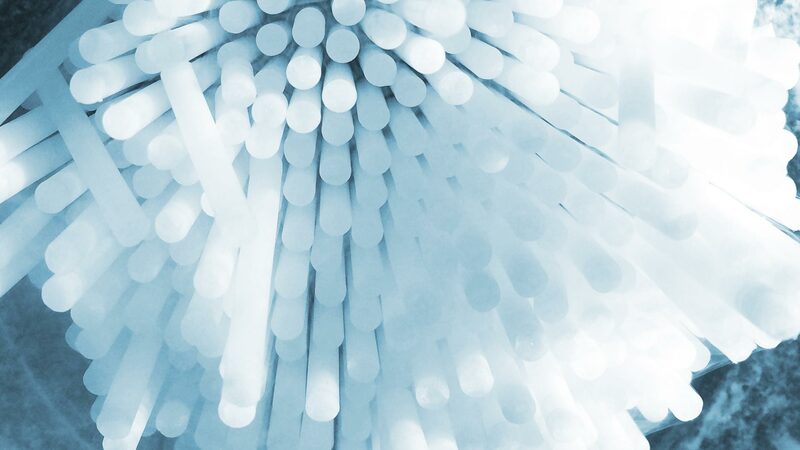 Initially, the 3mm sized pellets of frozen carbon dioxide work like regular blasting material. Particularly loose adhesions are already blown away during this step. At the moment of contact with the surface a heat exchange takes place. The pellet heats up and the adhesion embrittles. The rapid flash-freezing of the dirt causes it to contract. Like this, more dirt particles lose their hold on the surface. The remaining adhesions embrittle further and thus lose their elasticity. This is the point where the blasting effect of the pellet can take place. The CO² rapidly assumes its gaseous aggregation state upon heating up and grows almost 700 times in volume. The explosive pressure removes the remaining frozen and embrittled dirt particles from the surface at this point. During this process, the material of the surface itself remains undamaged. Dry ice blasting equipment can be applied to practically all types of dirt. Its use may not always be what immediately comes to mind, but dry ice blasting equipment basically guarantees a clean result in all cases without side effects. The main area of use for dry ice cleaning equipment is industrial cleaning. In the area of car maintenance, dry ice blasting equipment is also getting more popular. No other device allows it to clean the car body, engine bay, undercarriage and even the interior including the upholstery. Dry ice blasting equipment proves itself to be especially efficient at removing old dirt from the undercarriage. Dry ice blasting equipment also produces miraculous results in and around the house: removing graffiti, deep cleaning old roof beams, cleaning parquet flooring or wooden ceilings, ensuring that the front looks like new – dry ice blasting equipment produces results that used to be only possible by demolishing and reconstructing the entire house. 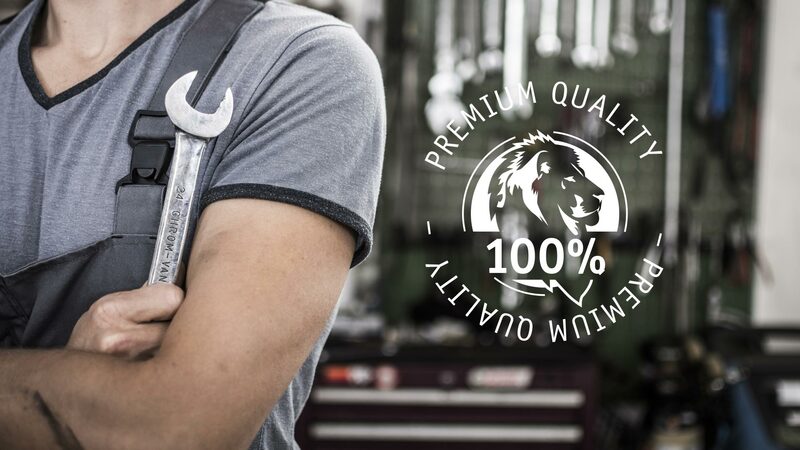 We at White Lion are professionals when it comes to dry ice cleaning. Over the course of several years, we have become one of the most innovative producers of dry ice blasting equipment. Today a wide array of products for all areas of application are ready for use not only by our customers. We also use our product ourselves and offer our services for industrial cleaning. When may we convince you?